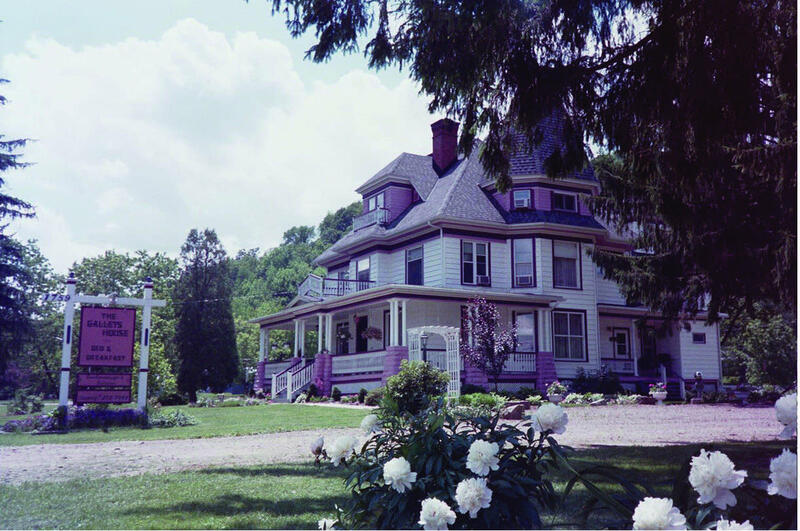 An 1896 restored Victorian home with original family photos and heirlooms displayed throughout. Located in the Enchanted Mountains in Southwestern NY, just 2 miles from exit 24 on I-86. Near St. Bonaventure University, Olean and Ellicottville. The parlor and common room, with their fireplaces and TV's, are perfect to relax in. 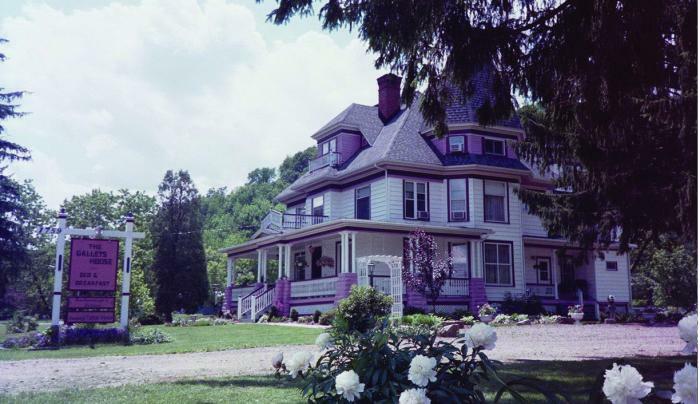 Sit on the 100 foot porch and enjoy the view with a lemonade and homemade cookie. Stay in one of five elegant guestrooms. All have private baths, TV, A/C, coffee pots, ceiling fans, and High Speed Wireless Internet. Two rooms have whirlpool tubs. Romantic, ski and golf packages offered... The three efficiency units in the Carriage House are ideal for overnight or longer stays. Two of the units can be joined to accommodate a family or group of up to nine persons. High-speed Wireless Internet available in all units.